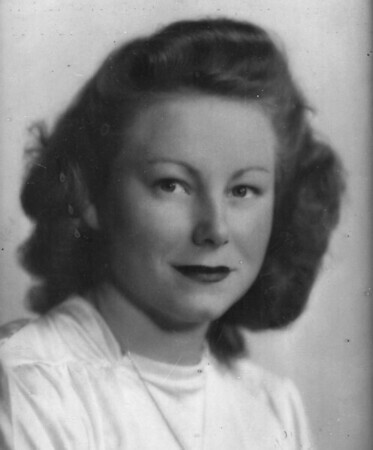 Violet J. Majewski, 94, of Kensington, widow of Theodore Majewski, passed away peacefully on Monday, April 8, 2019, at Worthington Manor. Born in New Britain, she was the daughter of the late Paul and Mabel (Shulstad) Gottlin. Violet was a Kensington resident most of her life and was a member of the Jehovah Witness Berlin Congregation. Surviving are a son, Thomas P. Majewski; a brother, Philip Gottlin of Florida; a granddaughter, Marlo Matassa and her husband Ryan Matassa; two great-grandchildren, Patrick Matassa and Lily Matassa; and a niece, Karen Bialy of New Mexico. She was predeceased by a brother, Paul Gottlin and a sister, Doris Aiudi. The family would like to thank the Berlin Visiting Nurse Association for their kindness and loving care. Funeral services and a calling hour will be held on Tuesday, April 16, from 10:30 to 11:30 a.m. at Erickson-Hansen Funeral Home, 411 S. Main St., New Britain. Burial will take place in the State Veterans Cemetery in Middletown. Memorial donations may be made to the Berlin Visiting Nurse Association, 240 Kensington Road, Berlin, CT 06037. Posted in New Britain Herald, on Sunday, 14 April 2019 21:27. Updated: Sunday, 14 April 2019 21:30.